In 2005, former Chief Constable Hugh Orde established the Historical Enquiries Team (HET) - a police led ‘cold case review’ style investigation of all conflict related deaths. While the latter did some important work, a report by Her Majesty’s Inspectorate of Constabulary in 2013 found that it had failed to investigate killings involving state actors (army and police) with the same rigour as those involving paramilitaries and it was disbanded. 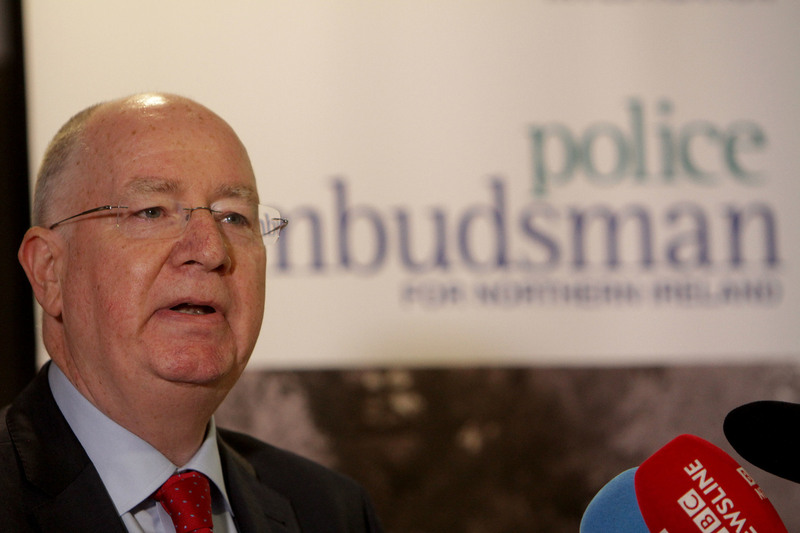 The current Police Ombudsman for Northern Ireland is Dr Michael Maguire. The Police Ombudsman’s Office (OPONI) also has a statutory duty to investigate historical allegations of police malfeasance involving the RUC. While it too suffered a crisis in public confidence under the leadership of previous ombudsman Al Hutchinson concerning conflict related cases, that organisation's reputation has been re-established under the stewardship of Michael Maguire. A legal challenge by retired RUC officers regarding the capacity of the ombudsman to come to a finding of collusion is ongoing. There is also a backlog of conflict related inquests involving more than 80 killings in the coroner’s courts – many of them involving controversial state killings and allegations of collusion. A 2016 plan put forward by the Lord Chief Justice Sir Declan Morgan to clear this backlog has yet to be funded by the British government. A Historical Investigations Unit (HIU) - amalgamating the investigative work previously done by the HET and the ombudsman. An Independent Commission on Information Retrieval (ICIR) – a mechanism though which victims could receive information about their loved ones from paramilitaries and the state knowing that no such information could be used in a prosecution. Oral History Archive (OHA) – an institution which would collect and co-ordinate the narratives of those affected by the conflict. Implementation and Reconciliation Group (IRG) – an overarching mechanism to oversee and report on the themes and patterns of the conflict. In 2015 a leaked version of legislation to establish these mechanisms included extensive provisions for the British government to redact ‘sensitive’ information from entering the public domain on the grounds of national security – measures which proved unacceptable to Sinn Féin , the SDLP, the Irish government and nationalist victims’ groups. A public consultation process on the revised version of that legislation, stalled for almost three years, is due to be completed by June 2018 with the actual legislation slated for introduction in late 2018. The controversial national security caveats remain. Although the SHA contained no provisions for an amnesty, in 2017 the UK House of Commons Select Committee recommended that a ‘statute of limitations’ (an amnesty by another name) be introduced for soldiers and police officers who served in Northern Ireland. Such a move was supported by DUP MPs. With other lawyers who gave evidence to that select committee, I argued that such a move would make prosecuting paramilitary activists extremely difficult – a de facto amnesty. The Defence Committee’s Chairperson Julian Lewis suggested that victims might have to be "big hearted" and accept such a price for protecting ex-military personnel from prosecution. Professor Kieran McEvoy is Professor of Law and Transitional Justice at Queen’s University Belfast and has been leading a team of academics and civil society activists working on the legacy of the conflict in Northern Ireland since 2013. This article is published as part of a project by The Detail, with Queen's University Belfast, marking the 20th anniversary of the Belfast/Good Friday Agreement. The university will hold a major conference on April 10.